Last winter the Government announced details of its new Winter Energy Payment, to help older people and those on a benefit heat their homes over winter. The best part is you don’t need to do anything to receive this payment. 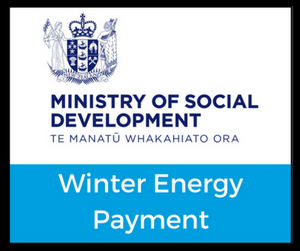 It will be paid automatically as from 1 July 2018 to everyone receiving certain payments like NZ Super. To find out more click here.